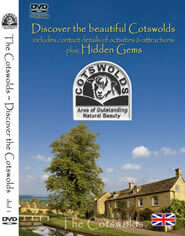 The beauty of Cotswolds attractions is that there is one for everybody. The great outdoors beckon with places like the Cotswold Wildlife Park, the Cotswold Water Park and the hundreds of trails leading to beautiful woodlands, meadows and forests. The historical attractions of Cotswolds live up to their expectations of beauty and grandeur with the foremost locations being the Chedworth Roman Villa, the Owlpen Manor and the Cirencester Abbey. Indeed, you will find places that are on and off the beaten tracks of the millions of tourists who flock to England’s most famous Area of Outstanding Natural Beauty. Your choice in which to start first depends on your travel plans, say, off the beaten track for solitary adventure and then on the beaten track for hobnobbing with fellow wanderers. Let’s start with the off the beaten track Cotswolds attractions, which many cynically believe are non-existent considering the great popularity of the area. Fortunately, there are many places that have retained their unique English charm untouched by the encroachment of development. The trick is to just keep on driving, exploring and keeping your eyes open for places like the ones discussed below. Little Barrington and Great Barrington may be comparatively windier than other parts of Cotswold but the fields of colourful mums are definitely worth the trip. Shelborne is filled with quaint little rows of cottages coupled with a post office and a shop. Time seems to stop here with people going about their business in a leisurely manner. Didmarton boasts of an 18-century church dedicated to St. Lawrence, which has an open bell tower unique in all of England. Enjoy a drink at the local pub, King’s Arms. Elkstone features a church and houses with Norman architecture. Marvel at the beauty of the small stained glass window bathed in an otherworldly pale golden light. Again, just keep on driving off to where tourists are few and locals are many. 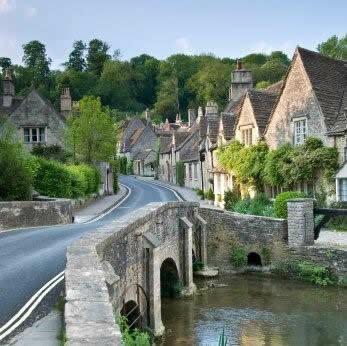 You are sure to find hidden Cotswolds attractions that are more memorable than others. Broadway is arguably the best village in the area, thanks to its beautiful and busy main street. Burford features antique shops alongside hip pubs and chic boutiques. The place is busy but still retains a good touch of the English relaxed lifestyle. Bourton-on-the-Water is one of the most popular destinations and for good reasons, too. No matter your first choice in these Cotswolds attractions, one thing is for sure: A jolly good time will be had by everybody.